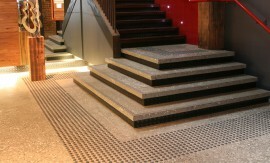 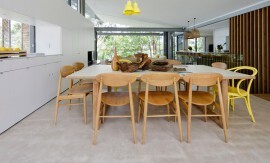 A great example of Concrete Flooring utilised in a commercial setting. 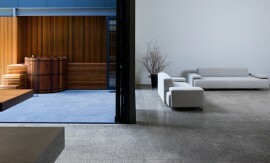 Asics Australian Headquarters at Eastern Creek proudly boasts a Concrete by Design Polished Concrete Floor. 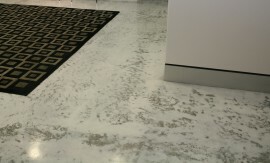 This large space is the perfect commercial applications for a high exposure grind and polish finish, with the ASICS Corporate Blue reflecting in the reflection of our highly-polished Cirti-Shine , wear resistant, decorative floor finish.